Steve Coleman began playing music just days before his 14th birthday as a freshman at South Shore High School on the south side of Chicago. His first instrument was violin but later that year he switched to the alto saxophone. For three years Steve studied the basics of music and saxophone technique, then he decided that he wanted to learn how to improvise. Looking for the best improvising musicians to listen to is what brought Steve to the music of Charlie Parker, although it helped that his father listened to Parker all the time. After spending two years at Illinois Wesleyan University Steve transferred to Roosevelt University (Chicago Music College) in downtown Chicago in order to concentrate on Chicago’s musical nightlife. Specifically, Coleman had been introduced to the improvisations of Chicago premier saxophonists Von Freeman, Bunky Green, Gido Sinclair, Sonny Greer and others and he wanted to hang out and learn from these veterans. By the time he left Chicago in May 1978, he was holding down a decent gig leading a band at the New Apartment Lounge, writing music, playing Parker classics, and getting increasingly dissatisfied with what he felt was a creative dead end in the Chicago scene. Hitchhiking to New York and staying at a YMCA in Manhattan for a few months, he scuffled until he picked up a gig with the Thad Jones-Mel Lewis Big Band, which led to stints with the Sam Rivers Big Band, Cecil Taylor’s Big Band and others. Soon he begun cutting records as a sideman with those leaders as well as pivotal figures like David Murray, Doug Hammond, Dave Holland, Mike Brecker and Abbey Lincoln. However it was really the influence of Von Freeman and Bunky Green in Chicago, Thad Jones, Sam Rivers, Doug Hammond in New York and listening to recordings of past improvising masters and music from West Africa that got Coleman turned around musically. The most important influences on his music at this time was listening to tenor saxophonist Von Freeman (who primarily influenced Coleman as an improviser), saxophonist Sam Rivers (who influenced Steve compositionally) and drummer/composer Doug Hammond (who was especially important in Steve’s conceptual thinking). Within a short time the group began finding a niche in tiny, out-of-the-way clubs in Harlem and Brooklyn where they continued to hone their developing concept of improvisation within nested looping structures. These ideas were based on ideas about how to create music from one’s experiences which became the foundation which Coleman and friends call the M-Base concept. However, unlike what most critics wrote this concept was philosophical, Coleman did not call the music itself M-Base. After reaching an agreement with the West German JMT label in 1985, Steve and his colleagues got their chance to document their emergent ideas on three early Coleman-led recordings like Motherland Pulse, On The Edge Of Tomorrow, and World Expansion. 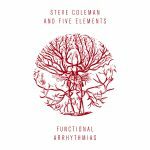 The late 1980s found Coleman working to codify his early ideas using the group Steve Coleman and Five Elements and working with a collective of musicians called the M-Base Collective. As his ideas grew Steve also learned to incorporate various forms of research to expand his awareness, these techniques included learning to program computers to be used as tools to further develop his conception. He developed computer software modules which he referred to as The Improviser which was able to spontaneously develop improvisations, harmonic structures and drum rhythms using artificial intelligence based on certain musical theories that Steve had developed over the years. It was also during this time that Coleman came into contact with the study of the philosophy of ancient cultures. This began in the late 1970s with his listening to music from West Africa and studying about he African Diaspora, but in the 1980s Steve began to study and read about the ideas behind the music. He began to see that there was a sensibility that connected what he was interested in today with the ancient cultures of the past. All of these ideas are documented on his recordings in the form of a sonic symbolic language. These emerging concepts were documented on Steve’s subsequent albums Sine Die (the last recording of the 1980s on the Pangaea Label), Rhythm People, Black Science, Drop Kick, The Tao of Mad Phat, and the first album of the entire M-Base Collective called Anatomy of a Groove (all on BMG Records). However, not being satisfied with reading and listening to recordings, Coleman embarked on the first of many research trips, first going to Ghana in December 1993 to January 1994 to study the relationship of language to music. One of the places that he traveled to was a small village called Yendi to check out the Dagbon people who have a tradition of speaking through their music using a drum language that still survives today. Steve had certain ideas about the role of music and the transmission of information in ancient times and he wanted to verify his speculations. This trip had a profound effect on Coleman’s music and philosophy. Upon returning to the United States Steve recorded Def Trance Beat and A Tale of 3 Cities on BMG Records, however the impact of the ideas that he was introduced to in Ghana would not be fully expressed in his work until late in 1994 after meeting the Kemetic (i.e. related to ancient Egypt) philosopher Thomas Goodwin, whose influence on Steve’s work was profound and far reaching. 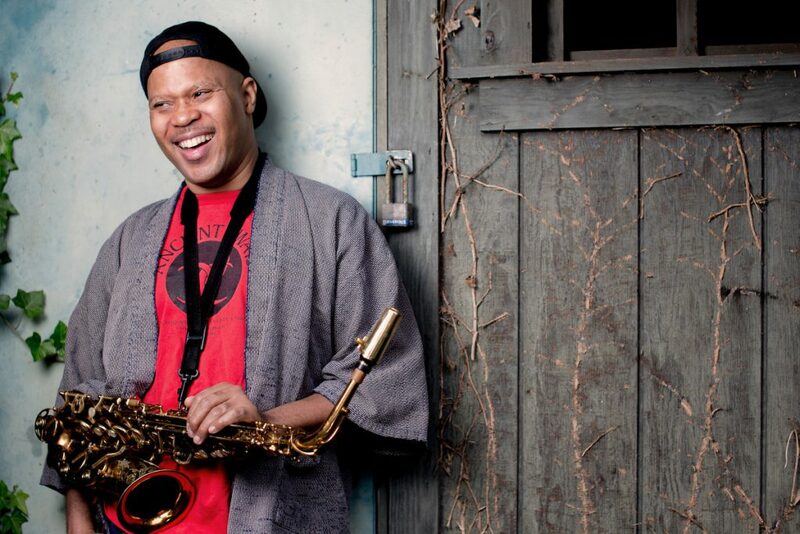 In June 1994 Steve formed the group Renegade Way which at that time consisted of Steve Coleman and Greg Osby on alto saxophones, Joe Lovano and Craig Handy on tenor saxophones, Kenny Davis on bass and Yoron Isreal on drums. This group also did its first tour of Europe in late august 1995 (with Bunky Green on alto taking Greg’s place and Ralph Peterson on drums instead of Yoron). A later version of this group consisted of Steve Coleman and Greg Osby on alto saxophones, Gary Thomas and Ravi Coltrane on tenor saxophones, Anthony Tidd on Bass and Sean Rickman on drums, however this group has never recorded a commercially released CD. 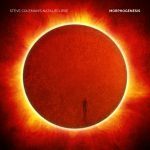 Representing both a summation of the previous period and the beginning of another phase is the three CD box set entitled Steve Coleman’s Music – Live at the Hot Brass released by BMG France. Each CD in the box set was recorded live in March 1995 in Paris and features one of Coleman’s groups, Curves of Life by Steve Coleman and Five Elements, The Way of the Cipher by Steve Coleman and Metrics and Myths, Modes and Means by Steve Coleman and The Mystic Rhythm Society. This last CD was directly influenced by the trip to Ghana and philosophical studies with Tom Goodwin, it was to point in the direction of Steve’s investigations for the remainder of the 1990s. 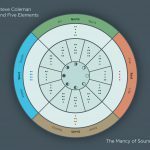 Together with an experimental ensemble put together called Steve Coleman and The Secret Doctrine, that brought the total number of group projects that Steve was involved in to five. The year 1995 was an important year for Steve. He began by organizing a trip that would make a profound impact on his music. While pursuing his philosophical studies and learning more about the transmission of these ideas through music, Steve began to plan to investigate an idea that he had been thinking about for at least 7 years. In an effort to follow the development of certain philosophical and spiritual ideas obtained by studying ancient cultures (primarily ancient Egypt) and following up on the 1993-94 research trip to Ghana, Africa, Steve wanted to meet and collaborate in a creative way with musicians who were involved in certain ancient philosophical/musical traditions which come out of West Africa. One of his main interests was the Yoruba tradition (predominantly out of western Nigeria) which is one of the Ancient African Religions underlying Santeria (Cuba and Puerto Rico), Candomble (Bahia, Brazil) and Vodun (Haiti). Steve decided to go to these places and investigate the method by which the ideas of these traditions were transmitted through music. First stop, Cuba! In Cuba Steve found that the situation was more complex than he had imagined for the people had preserved more than one African culture and these were mixed together under the general title of Santeria. There are the Abakua societies (Ngbe) , the various Arara cults (Dahomey), the Congo traditions such as nganga, mayombe and palo monte as well as the Yoruba traditions. But he did find one group called AfroCuba de Matanzas who specialized in preserving all of the above traditions as well as various styles of Rumba. In February of 1996 Steve rented a large house in Havana and along with a group of 10 musicians and dancers, a three person film crew and the group AfroCuba de Matanzas (who had been bused in from Matanzas) the collaboration was started. For 12 days the two groups hung out together, worked, practiced and conceptualized in order to realize their goal. After their performance at the Havana Jazz Festival the musicians went into a Egrem Studios in Havana and recorded the collaboration. 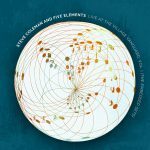 The results of this effort are preserved on a recording made for the BMG France recording company called The Sign and The Seal by Steve Coleman and The Mystic Rhythm Society in collaboration with AfroCuba de Matanzas. 1997-1999 saw a continuation of the projects involving cultural exchange with musicians around the world. Partially funded by a grant from Arts International (1997), Steve took a group of musicians from America and Cuba to Senegal to collaborate and participate in musical and cultural exchanges with the musicians of the local Senegalese group Sing Sing Rhythm. Using his own funds he also led his group Five Elements to the south of India in January-February of 1998 to participate in a cultural exchange with different musicians in the Karnatic music tradition. Steve and his group also gave workshops in the Brahavadhi Center headed by the renown musicologist Dr. K. Subramanian. What Steve learned on the trip to India (along with a research trip to Egypt the preceding month) helped to substantiate the knowledge of the ancient systems that Steve had been studying. These trips were helpful in supplying the additional information necessary for Steve to continue his studies which he hopes to express through his own music. 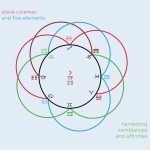 Two of Steve’s Five Elements recordings released by BMG France, The Sonic Language of Myth (1999) and The Ascension to Light (2000) are a direct result of these studies. In 2012 Steve altered his approach to being, creating completely spontaneous compositions and later orchestrating them. Functional Arrhythmias was the first recording to use this approach, which involved spontaneously composing in a near-trance state. 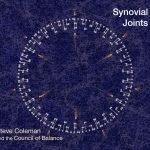 This was also first recording to be based on the cyclical movements within the human body, a idea that was influenced by Steve’s meeting and conversations with percussionist, polymath and modern shaman Milford Graves in 2011.